At DentaQuest, we pride ourselves on continually evolving to better serve you, our accounts. We will soon be implementing some system enhancements that will enable us to deliver greater flexibility and service to you in the future. You can expect some changes in the way you interface with us via the web, and our invoices and reports will look a little different. But these are all part of our effort to continue to serve you better. We will keep you informed about these changes and provide updates on these enhancements in the coming months. When employess are filling out the paperwork to join your company's DentaQuest plan, be sure to verify that the group and section numbers are completed accurately. This ensures that the member is enrolled in the correct plan. The group number is 6 digits, the section number is 4 digits, and the two are separated by a dash - so a sample of a correct group-section number would be 012345-0001. Your DentaQuest Account Executive will be happy to assist If you need clarification on the correct group and section numbers for your plan. The healthcare reform legislation signed into law a few months ago will bring with it many changes to the health insurance industry. What exactly those changes look like is not yet entirely clear, but we wanted to take a moment to let you know how dental benefits are affected and what DentaQuest is doing to prepare. Dental benefits for children are mandated as part of the minimum required coverage in the state exchanges created under the new law. The level of coverage has yet to be defined by the Department of Health and Human Services, but DentaQuest will be watching closely and making sure our plans meet and exceed these requirements. It is our expectation that any of our current plans will meet the qualifying requirements under these new laws. As more information becomes available regarding the new children's dental coverage requirement, we will keep you updated. 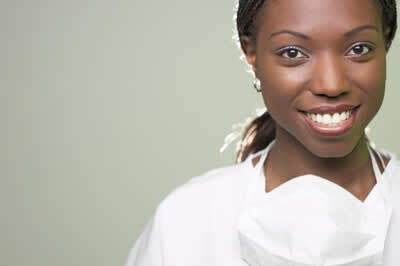 Having great dental benefits doesn't mean much if your employees can't visit a dentist that is convenient for them. That's why DentaQuest continually works to add dentists and specialists in order to provide easy access for our members. We continuously analyze our member population to identify geographic areas that could use better network coverage, and then recruit the best dentists in those areas to join our networks. This method has led to unprecedented growth across all of our networks. We'll contact that dentist on the patient's behalf about joining our network. Improving oral health is more than just our business - it's our mission, and we take it seriously. The DentaQuest Foundation is making a major investment to improve oral health literacy among children and adults in the Mid-Atlantic region. Good oral health is a key component of good overall health, and educating people about the connection between the two is important to developing healthy communities. The Foundation recently awarded two grants: one to the University of Maryland for a statewide oral health literacy and awareness campaign and another to support the development of the Maryland Dental Action Coalition (MDAC). Both grants support a two-fold strategy for raising oral health awareness. Researchers at the University of Maryland's School of Public Health will survey 4,000 parents and healthcare providers for their knowledge, opinions, and practices about preventive oral health and then use the information gathered to develop an oral health literacy intervention model for use in Maryland and other states. Grant funds will also be used to establish the Maryland Dental Action Coalition (MDAC), an independent advocacy organization that will implement the oral health literacy plan throughout the state. The Coalition will work with an array of organizations - ranging from policymakers, health care providers, hospital groups, and educational entities to child welfare advocacies to prioritize oral health as a critical component of health and to promote community and statewide solutions. DentaQuest will also be helping with upcoming Mission of Mercy events in Virginia. Missions of Mercy are gatherings of volunteer dentists, hygienists, and oral surgeons providing underserved populations with affordable access to dental care at events across the state. Virginia gets a "C" and D.C. gets a "D"
Maryland was one of six states recognized with an "A" grade because of improvements made in the care delivery system since the 2008 death of 12-year-old Deamonte Driver from complications from an abscessed tooth. Virginia and D.C. didn't fare as well, with the report citing both for not taking full advantage of school-based sealant programs. Did you know more than 35,000 Americans will be diagnosed with oral cancer this year and only half of them will survive longer than five years? But there is hope - you can reduce your risk through early detection. As the leader in oral health, DentaQuest is committed to raising awareness of the importance of early cancer detection. Please join us in our fight. Visit our website for more information. Follow @DentaQuest on Twitter for news, announcements, and oral health updates!